Les Miserables is the story of Jean Valjean's transformation from criminal to hero, and his dedication to doing good in a world where harsh laws often thwart the most benevolent impulses. Imprisoned for nineteen years after stealing a loaf of bread to feed his sister's starving family, Valjean is on the path to becoming a repeat offender when a charitable bishop's act of pity compels him to become an honest man. Over the next two decades, Valjean becomes a successful businessman and a generous benefactor to his orphan ward, Cosette. But the implacable Inspector Javert, who knows of Valjean's criminal past and who enforces the law mercilessly, hounds him from town to town, seeking to apply a standard of justice that does not acknowledge either redemption or rehabilitation. 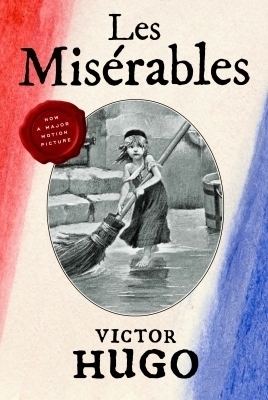 A vivid historical romance whose events climax spectacularly during the Paris Uprising of 1832, Les Miserables was praised by Upton Sinclair as "one of the half-dozen greatest novels in the world." This unabridged version of Victor Hugo's classic work is as stirring a tale of adventure today as it was when first published in 1862.